has finally opened to the public in the US. 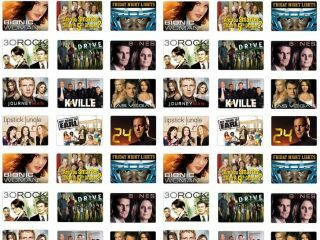 The site features ad-supported TV shows and movies from over 50 content providers including NBC, Fox and Sony Pictures. It has been operating in a beta stage for the last few months but will now be available to everyone in the US. The idea behind the site is to provide a solution to the amount of revenue that media providers lose through videos being illegally uploaded to sites like YouTube. Americans can now log on to the site and legally stream TV shows, instead of watching the content through other means. This way, people still get their fix of online video content. And the TV networks are still able to make money from the adverts which run alongside the service. The good news is that Hulu will carry popular shows like Heroes, 24, The Apprentice and My Name is Earl. The bad news is that because of international licensing contracts, Hulu content is not accessible to anyone in the UK. It is expected that Hulu will steadily grow, with more and more content providers joining up. It could end up becoming a massive portal for online video content, and maybe there’ll even be a download store in future too. "We won't stop until we have everything in terms of premium content. That is our mission," said Jason Kilar, Hulu's chief executive. "I just think back to the fact that 24 months ago, there wasn't anything online legally in terms of full TV episodes or films. In just 17 weeks, we have gone from nothing to over 200 premium titles."